A few days ago, Tony Whitbread highlighted an initiative from the group “Natural Climate Solutions”, led by the journalist George Monbiot. This promoted the large-scale restoration of nature. Music to our ears! Large scale restoration of nature is what the Wildlife Trust has been about ever since we were formed in 1961. As a species we may at last be starting to formally recognition of the huge array of benefits that nature provides to people. We call these ecosystem services – all the things we get from nature making human life both possible and worthwhile. 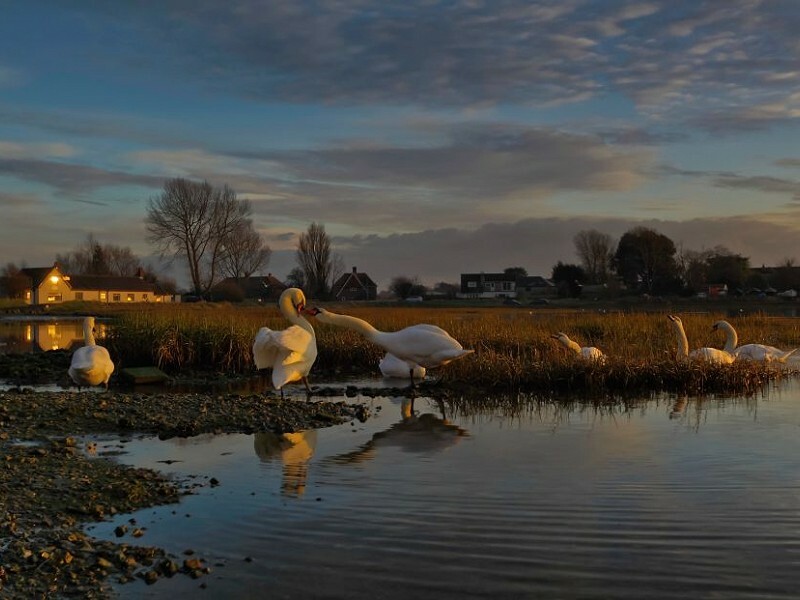 Sussex Wildlife Trust has promoted the importance of ecosystem services for decades. We now work hard to get this recognized in all levels of decision making in Sussex. We want a Wilder Sussex and we want people to understand its importance and their role in delivering it. Most recently we have supported the South Downs National Park Authority in the development of its Local Plan. This puts ecosystems services at the heart of its core principles and policies – the first planning authority to do so. First this is a key step to not only make development less damaging to wildlife, but also to deliver wildlife gain. The government promotes a concept of “net gain” for wildlife. This remains a meaningless catchphrase unless it can be given some reality. The concept of ecosystem services enables us to say what net gain actually is – and campaign for it! Second, if promoting ecosystem services delivers the wildlife gain that is so vitally needed, then this can act as an example to other Local Planning Authorities in Sussex. Behind all this is the need for collaboration between organizations and individuals that recognize the need for large scale restoration of nature. This cannot be achieved by one organization alone and fortunately there are many of us who are committed to turning wildlife loss around. In Sussex we have the Local Nature Partnership - originally a government initiative but now a partnership that is promoting major investment in nature. For too long we have seen nature as a “cost”. Such a view is fundamentally flawed – nature is a benefit and we must invest in benefits (or lose them). Natural climate solutions provides an example of this - invest in nature to help address climate breakdown. But other examples abound. Ecosystem services in Sussex are under severe threat. Our water resources are over-stretched and towns can suffer from flood risk - so invest in wetlands and you get pure water and flood risk reduction. Urban pollution impacts on health - so invest in city trees and you reduce particulate pollution. Pollination is one of our most threatened services as insect numbers plummet – so invest in habitats that support bees and your crops might get pollinated, etc etc. Economic systems that consider nature as a “cost”, only to be paid when we think we can afford it, is an economic system that is not fit for purpose. It is now time to invest in Sussex nature – and on a scale hitherto undreamed of. We have a smallholding property in Bepton outside Midhurst, sitting on the Gault Clay. The property is ~40 acres and mostly rough pasture, currently grazed by sheep. We have an orchard and also keep several colonies of bees. We have an area of ~2.5 acres that we would like to restore to wildflower meadow, and would be interested in talking to an expert! The property has been managed almost entirely organically for the past 30 years, by us for the past 12 years. We are keen to do what we can to preserve/enhance local indigenous biodiversity, and so any further ideas you may have would be enthusiastically welcomed.